Las Virgenes Municipal Water District (LVMWD) serves around 70,000 people in a biologically diverse mountain ecosystem northwest of Los Angeles, California. In November 2018, the district was hit by the disastrous Woolsey wildfire, which burned 66 percent of the district’s service area. The staff of the water district worked to maintain the functionality of its infrastructure while also providing water to firefighters. 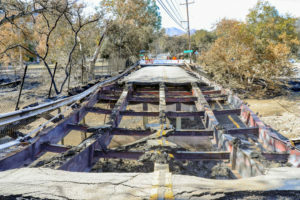 In this interview, Dave Pedersen, the district’s general manager, Dave Roberts, its resource conservation manager, and Mike McNutt, its public affairs and communications manager, speak with Municipal Water Leader Managing Editor Joshua Dill about the Woolsey Fire’s effects on LVMWD’s service area, infrastructure, and local ecosystem. Joshua Dill: Please tell us about your backgrounds and how you ended up in your positions. Dave Pedersen: I am the general manager for the district and have been with the district for 6 years now. I have a bachelor’s degree in civil engineering and a master’s degree in business administration with a specialty in finance. My professional background has always been in the public sector. I have about 25 years of public-service experience focusing on water management, flood control, and other public infrastructure. I enjoy the public-service element of what I do, and I fell in love with the water business about 15 years ago. I started my career with the Los Angeles County Department of Public Works. In 2010, I left the County of Los Angeles to work for the Irvine Ranch Water District, first as its director of water operations and eventually as executive director of operations. 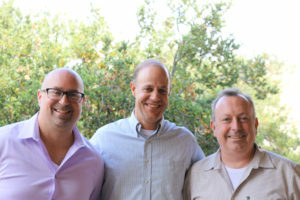 Most recently, in 2013 I came to Las Virgenes to be the district’s general manager. Mike McNutt: I am a fairly new transplant to California, from the Buckeye State. My academic background is in environmental science and communications; I have degrees in both subjects from The Ohio State University. Professionally, I started by working at several small nonprofit organizations focusing on watershed management. From there, I moved into the public health realm, continuing my watershed management work for the Cuyahoga County Board of Health in Cleveland, Ohio, but through the lens of public health in the Great Lakes region. Evolving professionally, I found myself interested in emergency preparedness and took a position at the City of Columbus Public Health Department as its public information officer, where I stayed for nearly 5 years. After that, I decided to get back into the water industry and moved to California. My first position here was public relations and sustainability director at Palmdale Water District. I then took a position at the Metropolitan Water District of Southern California for about a year, and about a year ago, I found my home here at LVMWD. Dave Roberts: I started my career as the assistant executive director of the League to Save Lake Tahoe, doing environmental advocacy. I transitioned from that to working with the Regional Water Control Board, where I was the project manager for the development of the Lake Tahoe Total Maximum Daily Load. I worked there for about 12 years. I then moved on to be the district manager for the Tahoe Resource Conservation District, where we started the invasive species program for the Lake Tahoe basin. From there I came to LVMWD. I am relatively new to the water industry, but I have a varied background that is helpful for the work we do in the district. Joshua Dill: Would you give us an overview of the district and the services it provides? Dave Pedersen: We are a full-service water and wastewater utility serving about 70,000 people. We provide domestic water at the retail level while also providing recycled water to customers throughout the district for the irrigation of parks, schools, greenbelt areas, golf courses, and cemeteries. We treat the region’s wastewater together with our Joint Powers Authority partner, the Triunfo Sanitation District. Along with treating wastewater and producing recycled water, we manage the biosolids generated by the treatment process. We are one of two agencies in California that use closed-cell composting to locally treat and reuse biosolids. By doing so, we produce a rich compost product that is given away to the community on Saturdays. The district provides these services to four cities in our service area: Calabasas, Agoura Hills, Westlake Village, and Hidden Hills. It also covers a fairly large portion of unincorporated land within the County of Los Angeles, mostly located in the Santa Monica Mountains National Recreation Area. Our service area is primarily residential, with some retail, but not a lot in the way of industry and manufacturing. Mike McNutt: Our customer base is fairly affluent. We service some large homes with big-name owners including the Kardashians, Drake, Will Smith and Jada Pinkett- Smith, and many professional athletes. 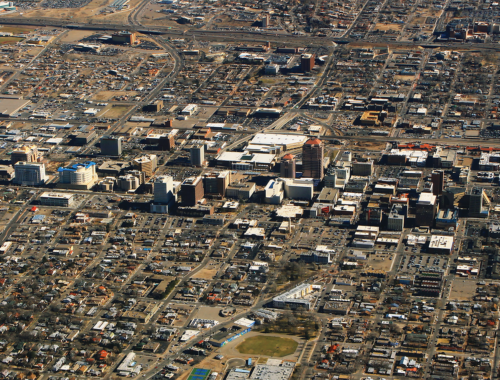 We also serve many retirees and people who have lived in the area for years. Many of our customers are highly educated and proactive and care about environmental integrity and sustainability. We have established strong and long-lasting partnerships with our communities and the local school systems through multifaceted outreach efforts and science-based educational programs. We consider our customers to be partners, friends, and family and hold all of them in high regard. Joshua Dill: Please tell us about the watershed. Dave Roberts: The Santa Monica Mountains, as a coastal mountain range, have a broad variety of microclimates and ecosystems. However, the mountains are relatively isolated from surrounding wildlands and open spaces: Large areas of urban development surround the mountains on three sides, and the Pacific Ocean runs the length of the southern boundary of the range. The mountains rise steeply out of the Pacific Ocean near Malibu, California, and are mostly covered in chaparral and other adapted vegetation. As a result, the coastal regions are cooler due to the marine influence while the landscape becomes warmer and more arid as you go farther inland. The variable topography, microclimates, and the wide array of ecosystems in our area make the region a biological hotspot. We have more indigenous species in the Santa Monica Mountains than you would find in a typical mountain range. Our service area is an ecologically important region in Southern California, as well as being one of the largest recreational areas proximate to the Los Angeles metropolitan area. The Malibu Creek watershed is the largest watershed within the Santa Monica Mountains. It is also the only watershed that transverses the mountain range: It snakes through the Santa Monica Mountains to the State Route 101 corridor freeway system. It contains one of the largest riparian habitats in the mountain range, including some of the area’s densest woodlands. The creek terminates in a natural lagoon near Surfrider Beach in Malibu, which is a very popular recreational beach and surfing location. In the past, the Malibu Creek Lagoon was a degraded estuary with poor water quality and seasonal fish die-offs. This led to concerns from nonprofit organizations and heated debates about the health of the stream. More recently however, many of the differences in opinion have been addressed, and after a long debate, the community embarked on a large restoration project to reconfigure and redesign the lagoon system. The results so far have been positive and the lagoon is looking healthier than it has in a long time. It has a thriving fish population, and the water quality has improved. The Santa Monica Mountains also have one of the southernmost populations of steelhead trout, a federally endangered species. The trout have historically been found throughout the Santa Monica Mountains, but development and habitat loss have confined the existing population to just two spawning grounds, including Malibu Creek. We also have populations of the endangered red-legged frog, which was actively being reintroduced to parts of the mountains prior to the fire. Unfortunately, some of the areas where the frogs were introduced were among the watersheds most affecrted by the fire and the related debris flows caused by recent rain events. We also have mountain lions in the Santa Monica Mountains, which may seem counterintuitive for a mountain range surrounded by urban development. The National Park Service has identified more than 50 pumas within the range. The community has embraced our resident mountain lion population. Efforts are underway to help improve the genetic diversity of this relatively isolated population. Joshua Dill: Where does your water come from? Dave Pedersen: All our drinking water is imported. We buy our water from the Metropolitan Water District of Southern California, which receives its water from two sources: the State Water Project from Northern California and the Colorado River, the water of which is delivered by the Colorado River Aqueduct. Based on the location of our district, most of our water comes from the north via the State Water Project. Our local groundwater is not pure enough to drink: It is high in salt and hydrogen sulfide. In the early years of the district, in the 1950s, local residents tried to use the groundwater, but it was not sufficient for their needs. In fact, that was the motivation for the formation of our agency in 1958. Because of our lack of local water, we were an early adopter of water recycling. We began in the early 1970s, and today, 20 percent of our water demand is met using recycled water. The other 80 percent, used for drinking, is imported. Right now, we are working on an innovative project called the Pure Water Project Las Virgenes–Triunfo. It is a water reuse project in which we will apply advanced treatment to our wastewater and use it as a locally sourced drinking water supply. When that project is completed, the purified water will account for 15 percent of the supply for the region. Joshua Dill: Is that going to be indirect or direct potable reuse? Dave Pedersen: It will be indirect potable reuse through a method called reservoir-water augmentation. We will supply advanced-treated recycled water to the Las Virgenes Reservoir, where it will spend 2–6 months mixing with the reservoir’s supply of imported water. That period of time will serve as an environmental buffer. 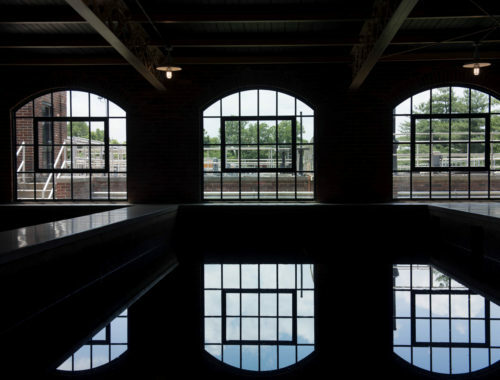 The water will then undergo the normal filtration process at the Westlake Filtration Plant. At that point, the water will be supplied to customers through our distribution system. 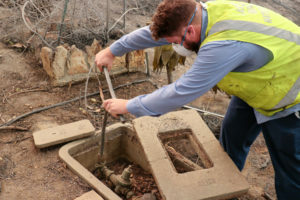 Our method is a bit different from the indirect potable reuse practiced by water suppliers like the Orange County Water District, which do groundwater recharge and replenishment rather than reservoir augmentation. In our location, we do not have a usable groundwater aquifer. Our reservoir-water augmentation method involves introducing the purified water into a surface water body instead of an aquifer. There are currently three projects in California that are pursuing this path. The regulations on this method were adopted by the State Water Resources Control Board in early 2018. Joshua Dill: Would you tell us about your experience with the recent wildfire and how it affected your customer base, infrastructure, and watershed? Mike McNutt: On Thursday, November 8, when I was sitting outside having lunch, I remarked that I had never seen it so windy. The Santa Ana winds were in full effect. They were gaining ferocity through the canyon as each minute passed, while the palm trees were bent sideways from the prolonged gales. At about 2:00 p.m., we heard that a small fire that had started in Woolsey Canyon, which was pretty far away. As the hours went by, the wind started driving the fire closer to our service area. We decided to open up our emergency operations center at 4:00 p.m., and by 6:00 p.m. it was fully staffed with employees staying for as long as needed. As darkness enveloped the region, we watched the fire advance on communities and homes. Families were fleeing, mandatory evacuations were in full swing, the eerie orange glow of the approaching fire was an ominous presence in the distance, and the air was filled with the sounds of the howling wind and the smell of smoke. It was all happening right outside our communities. By dawn on Friday, the fire had jumped the freeway and we began receiving word that it had arrived in part of our service area. 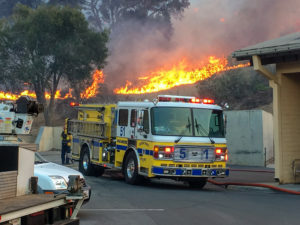 The wind was so strong that the fire quickly moved into heavily populated areas on its march toward Malibu and the ocean. Our headquarters was just outside the mandatory evacuation area, but we were definitely aware of the fire’s proximity. You could see billowing clouds of smoke, and the flames were starting to move closer to us. Around 2:00 p.m. on Friday, the flames had advanced directly to our headquarters building. All of the large hills around us were burning. The fire department battalion chiefs came into the building to determine whether we had any hazardous chemicals or anything that could explode and harm the firefighters. We assured them that they were safe, and they were able to keep the flames at bay and prevent them from destroying the buildings. The headquarters building sustained nothing more than smoke damage, while the surrounding hillsides looked like a moonscape. Our facilities, however, did sustain some minimal damage, including charring to the outside of our composting facility, roof damage, broken windows, damage to internal equipment, and some destruction to our chemical pumps at the water filtration facility. But headquarters stood strong along with the Tapia Water Reclamation Plant. Clearly, we dodged a bullet. The firefighters did significant work to ensure that all our operations were able to move forward. Once the fire had burned through a neighborhood, our staff were able to follow behind the firefighters and begin turning off water meters at homes that had been destroyed. 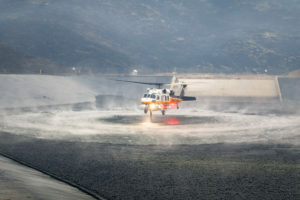 The staff immediately raced into action to minimize water loss and ensure that the firefighters had their most essential tool to combat the flames: water. 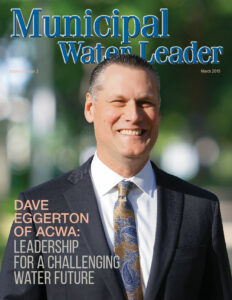 Dave Pedersen: It’s not widely known, and they are certainly not as significant as law enforcement, firefighters, or EMTs, but water agency personnel are also considered first responders. All our water agency employees are sworn disaster-service workers, and all of them took those duties very seriously in this incident. Our role in a disaster situation is to provide support—obviously, water is one of the primary tools firefighters use to put out fires. We did two main things. First, we monitored the water system. The entire district lost power—meaning that hundreds of facilities and pump stations that normally run on electricity needed backup power. We kept many of those pumps and facilities running with generators, propane, and natural gas. The next step was to deliver portable generators to other stations so that we could move water around for the firefighters to use. We called early for mutual aid and received generators from the Cities of Beverly Hills and Fresno, California. Second, we repaired leaks and shut off water services where homes had been destroyed. We allowed helicopters to pick up water from our recycled-water reservoir located behind the headquarters building and our Westlake Reservoir. The firefighters also connected to the water system to draw water to protect homes. Many people don’t realize this, but the public water system is not designed to fight wildfires. It is designed to fight a fire affecting the largest single structure in the service area. Here, we were fighting multiple structures at a single time, which was placing a lot of stress on the system. Overall, the water system performed quite well under the extreme demands placed on it. We did lose water system pressure in one portion of our service area, affecting about 500 customers. A bridge that suspended one of our large water mains sustained damage and partially collapsed. When the bridge collapsed, it broke the water main. We were not able to get in and isolate that break because of the fire. We lost a lot of water and could not keep up with demand in that area. Apart from that, we were able to support firefighting efforts throughout the district. Communication with our facilities also became difficult during the fire. We had to rely on individual site inspections to monitor the functionality of certain facilities. Sometimes we could not access our facilities due to fire damage, downed power lines, and other hazards. Our water system is operated through a radio network called Supervisory Control and Data Acquisition. All our district facilities, from the tanks to the pumps, have radio transmitters that send signals back to our headquarters that allow us to see whether they are operating and whether there are any problems. That system, while it was only partially functional during the fire, was quite helpful in allowing us to monitor our system. Joshua Dill: What was the most recent similar fire? Dave Pedersen: Malibu has a history of wildfires, but as I understand it, this was the largest and most devastating fire we have ever experienced. 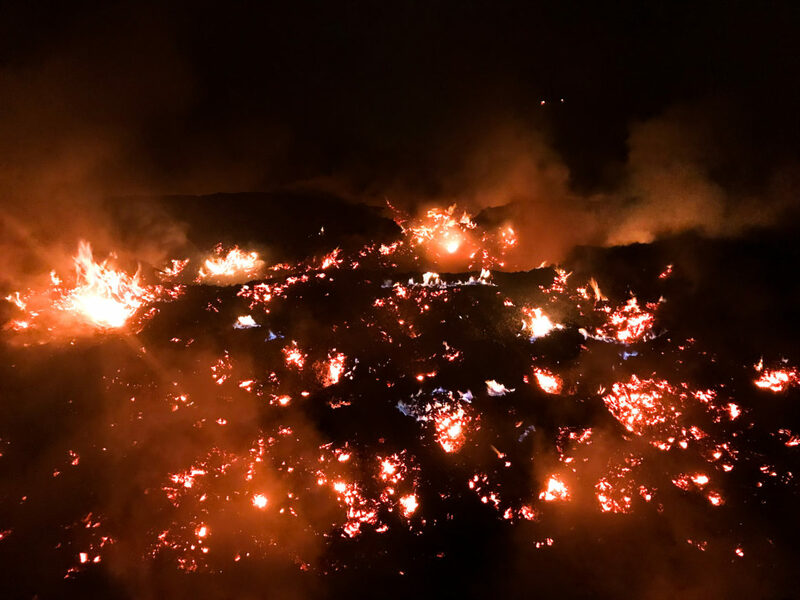 Three hundred fifty homes were destroyed in our district’s service area, which is only a fraction of the total number destroyed by the fire as a whole. Unfortunately, one of our board members was among those who lost their homes. Dave Roberts: The watersheds here in California have evolved with fire. It is quite typical to have fires in the summer and fall months, but it is concerning that fire seasons have become longer. Most of the historic fires were isolated to a single canyon and were put out pretty quickly. In this case, however, strong winds drove the fire across multiple canyons until it eventually reached the Pacific Ocean. The fire covered a path of over 30 miles. Santa Ana winds are common, but they typically do not last this long. We had also experienced 7 years of drought; our dry vegetation aided the spread of the fire. 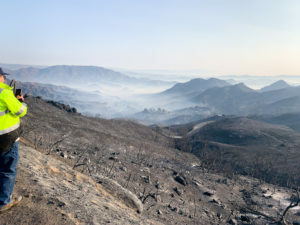 The upper portions of the Malibu Creek watershed near the Woolsey Canyon were significantly affected by the fire. The firefighters did a heroic job directing the fire around communities, meaning that they saved most of the homes in the area. In open areas and wild lands, however, there were simply not enough firefighters to deal with the fast-moving flames. As a result, over 80 percent of the wild land in the region burned, with many watersheds completely denuded. The major concern in those areas is sedimentation and the possibility of debris flows. When we toured those areas a few days after the fire, several of the creeks looked like lava flows because of the ash and sediment that had been mobilized by a rain event shortly after the fires. Those creeks will be devastated for a number of years. It will take a long time for the Santa Monica Mountains to recover. This is particularly true when you consider the relative isolation of the Santa Monica Mountains and the limited opportunities for wildlife to repopulate those watersheds. A concern throughout California right now is ecotype conversion. After the wildfires in San Diego in 2007 and 2008, the land was largely recolonized by nonnative vegetation. It is difficult to get native plants to reestablish in some of those areas because the climate has changed. Adding to the concern is the chance that invasive species will get a foothold in the burned watersheds before native plants are able to reestablish, causing permanent ecosystem alteration. Joshua Dill: Is there anything that you would like to add? Dave Pedersen: I would like to say how incredible our staff was in responding to the fire. They were selfless and came in to do what needed to be done. Some were affected by evacuations and a few experienced fire damage themselves. 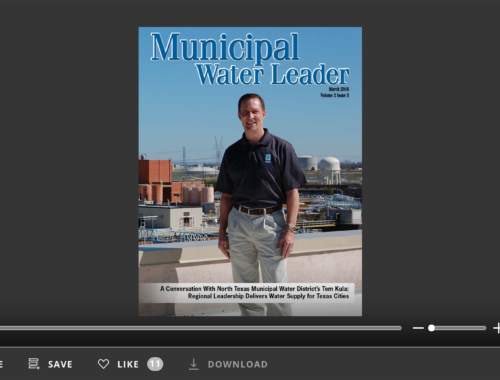 We look at ourselves not just as a water utility but as an integral part of the community. That spirit is embodied in everything we do at the district. For more information about the Las Virgenes Municipal Water District, contact Mike McNutt at mmcnutt@lvmwd.com or call (818) 251-2124. You can also follow the Las Virgenes Municipal Water District on Twitter and Instagram, or visit its website at lvmwd.com.